We have carved a niche for ourselves amongst the audacious shipping corrugated boxes manufacturer in India. These boxes are suitable for heavy load and high stacking capabilities. We are endeared to present a most affluent spectrum of heavy duty corrugated boxes for our clients. Moreover, we have also proved our specialization in making heavy duty corrugated packaging boxes that are high in demand due to their durability & loading proficiency. 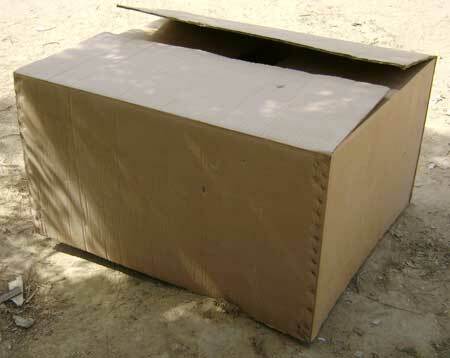 Get all these features of the offered range of the heavy duty corrugated boxes at most comprehensible prices. Corrugated boxes are made of kraft and semi paper of GSM (120-150GSm of SEMi and 150 âï¿½ï¿½ 350 GSM of Kraft with Burst Factor of range from 18 BF to 35 Kgf/Cm 2). We can make any size of heavy duty corrugated cardboard box (extra large single container) and can supply in heavy duty cardboard like double wall corrugated cardboard for extra load capabilities and triple wall corrugated cardboard. The double and triple wall corrugated cardboard is good for heavy or fragile/bulk items being sent abroad, export packing or for re use.